Protecterra is formed from two words, ‘Protect’ and ‘Terra’ the Latin for Earth. Joined together they mean Protect the Earth. Ecology is also formed from two words, ‘Ecos’ meaning home and ‘Logy’ meaning study. Together they mean ‘Study of Home’. To believe that we can Save The Planet in itself comes from a misplaced sense of self righteousness and human ego. We should not destroy what we have not created. What we can certainly ensure is to protect what supports us and all other sentient and non sentient beings on Terra. This was the basis of the name PROTECTERRA. The PEF logo portrays the objective of the organisation. It comprises of a globe with pugmarks, a branch and a fingerprint. The colours used are blue and green. The pugmarks are of a leopard, they symbolize the entire animal kingdom. Leopards are the most adaptable and widespread of all felines and co-exist alongside humans throughout their range. The branch is of an olive tree. Derived from the customs of Ancient Greece, olive branches symbolize peace or goodwill. Olive branches have been used throughout modern and classical works to represent peace. Olives also signify light, purification, fertility, vital energy, protection and victory. 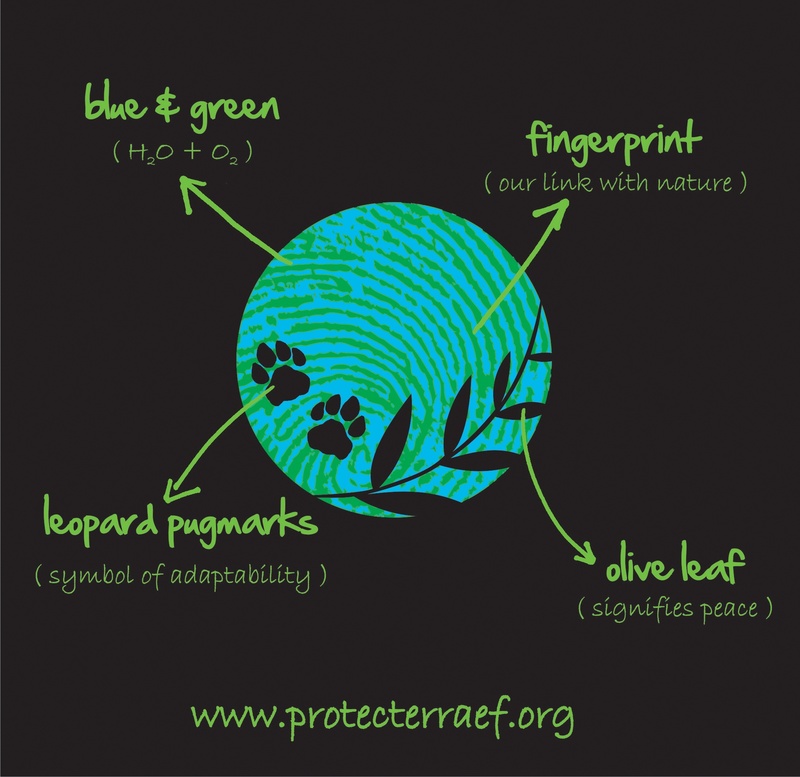 The pugmarks and olive leaves imprinted on the fingerprint imply co-existence and co-dependence. The fingerprint itself symbolizes Terra and our responsibility to protect her. The colours blue and green represent water and life as depicted in a globe. Together, all these elements, are Protecterra Ecological Foundation.